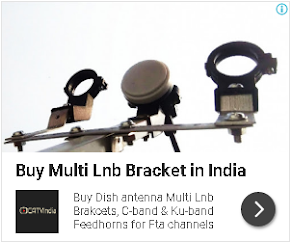 Very soon we will give you update for newly added channels on DD Freedish, Keep visit us. DD Free dish announced 26th e-auction for vacant slots of DD Freedish, First time DD Freedish invites applications separately from Regional and General TV Channels. DD Free Dish (Prasar Bharati) will conduct 26th online e-Auction for filling up of Vacant DTH Slot for the DTH Service of Doordarshan's DD Free Dish on 15th February, 2016 (Monday) for Regional DTH Slot and General DTH Slot. Hindi Regional Channels will not be part of it. 1.2. Participation Amount (EMD) of DTH Regional Slot is Rs.50.00 Lakh (Rupees Fifty Lakh) only, Demand Draft in favour of PB (BCI) Doordarshan Commercial Service, New Delhi. 1.3. Incremental amount will be Rs.5.00 Lakhs for Regional Slot in 26thonline e- Auction and every e-Auction will be of 15 Minutes duration. 1.4. Processing Fee (Non-refundable) Rs.10, 000/- (Rupees Ten Thousand) only, Demand Draft in favour of PB (BCI) Doordarshan Commercial Service, New Delhi. 2.1. The Reserve Price per General DTH Slot is Rs.4.30 Crore. 2.2. Participation Amount of General DTH Slot is Rs.1.50 Crore (Rupees One Crore and Fifty Lakhs) only, Demand Draft in favour of PB (BCI) Doordarshan Commercial Service, New Delhi. 2.3. Incremental amount of General DTH Slot will be Rs.10.00 Lakhs for 26th online e- Auction and every e-Auction will be of 15 Minutes duration. 2.4. Processing Fee (Non-refundable) Rs.10,000/- (Rupees Ten Thousand) only, Demand Draft in favour of PB (BCI) Doordarshan Commercial Service, New Delhi. M/s. C1 India Pvt. Limited, Gurgaon will conduct the 26th online e-Auction on behalf of Prasar Bharati. Online Training will be provided to all the participants by M/s. C1 India Pvt. Limited. Please add business/ financial channel . zing and zee etc available?